To those of you who celebrate it, happy early Thanksgiving! We hope you enjoy your Thanksgiving feast as much as Wang Leehom is enjoying his. I practiced violin for the entire evening, and when I walked out of the recording studio, I saw this display… too moving! A Thanksgiving feast personally prepared by my wife, so tasty. I wish that everyone will have a Thanksgiving full of love. Wow! Filming wrapped! I never imagined that my first filming a movie in America would go so smoothly and happily! It really is fortunate to be able to learn new things and make good friends! Thanks to all of the crew members who gave me the autographed and precious gift! I predict that this will not be a short-term collaboration~ Haha! 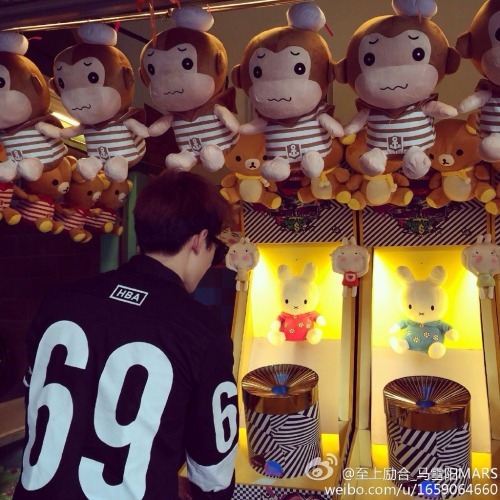 Also~ Isn’t the pork prop made by the crew too realistic? Haha, it’s actually made of plastic, and it’s very comfortable to lie on! Going to take you home. 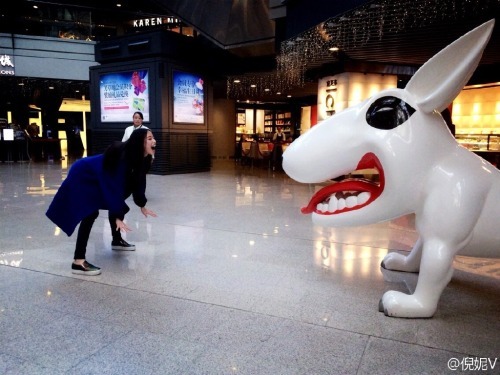 The gorgeous Ni Ni shows off her tough side by going head-to-head with a dog sculpture. Her new movie Back in Time (匆匆那年), also starring Eddie Peng, will hit theaters on December 5. 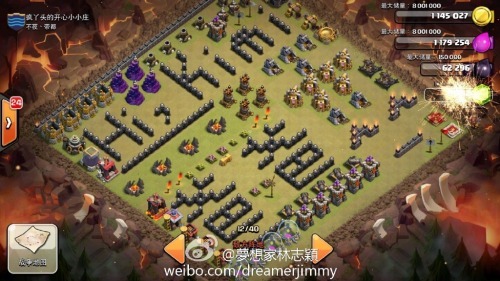 About to start the clan fight when I saw my opponent’s chief’s troop arrangement. I ask you, how am I supposed to fight? P.S. This isn’t an ad. 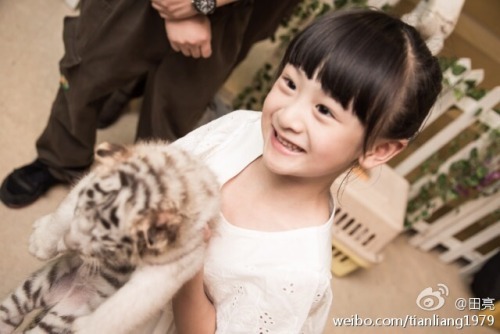 Tian Liang shared about his weekend with his daughter Cindy Tian Yucheng, and how she ended up asking for an interesting pet. This entry was posted in Miscellaneous and tagged Cindy Tian Yucheng, Hollywood Adventures, Jimmy Lin, Ma Xueyang, Ni Ni, Tian Liang, Vicki Zhao Wei, Wang Leehom by Jo. Bookmark the permalink. Ahhhhh! 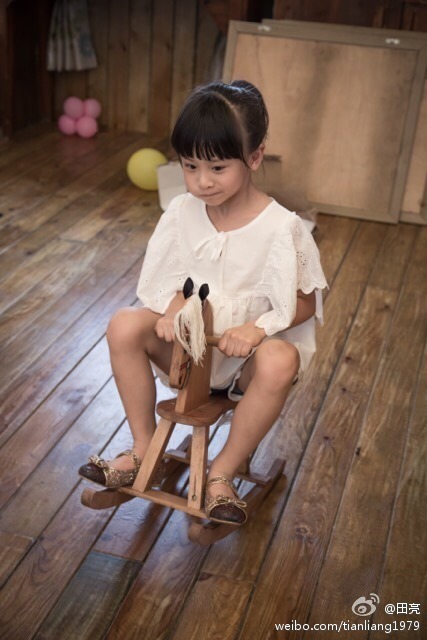 Cindy on the wooden horse is so cute.